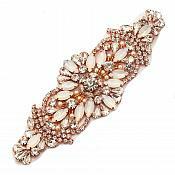 Opal and Crystal Rhinestone Applique with Rose Gold Settings and Beads with Small Pearls. With this piece, you will not be disappointed. 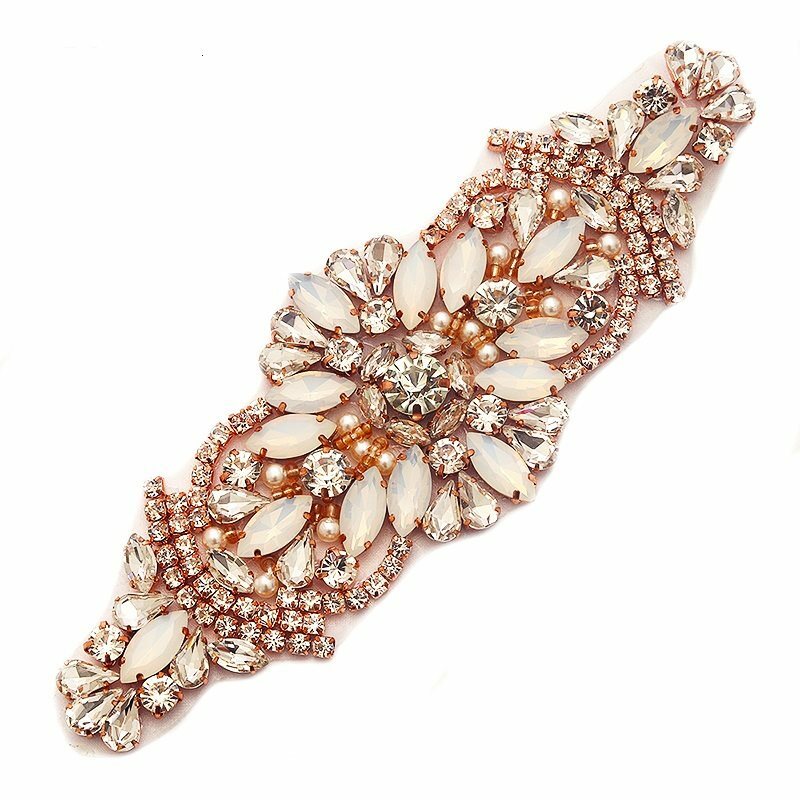 There is a lot of unique detail in this Applique with large marquise shaped Opal Glass Stones and smaller crystal rhinestone, pointed back glass crystal rhinestones, in rose gold settings. Accented with a few pearls. You will find many shapes and sizes of glass stones in this applique. It is simply beautiful. 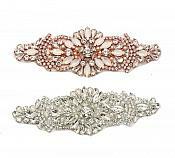 This applique can be applied to a ribbon and worn around the waist or applied directly to your wedding gown. You can make it your own by doing it yourself. If you need more quantity please email us.